No experience is required. This class is for those wanting to learn the basics of rope climbing. 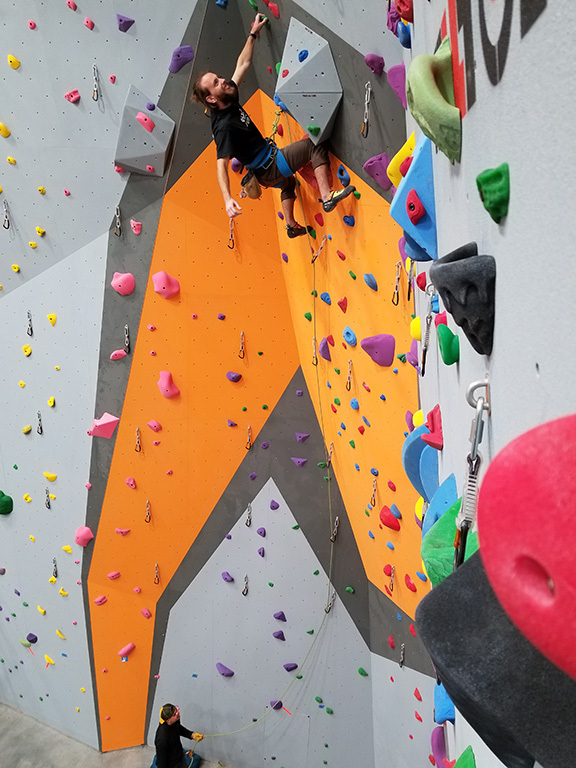 Looking for a refresher or are new to climbing, this class is for you! Knots, communication, belay technique (Gri-Gri, or approved devices), climbing ratings explanation, and safety will be covered. If you have top rope experience you are welcome to take the certification test. This test can be done at anytime as long as staff is available. We will get you climbing as quickly as possible! All climbers must have a current Release of Liability Form (Waiver) to enter the climbing area at STEEPWORLD. If you are under 18 years of age, your Waiver must be signed by a parent or documented legal guardian. The Waiver can be completed online ahead of time (steepworld.com) or during your first visit to STEEPWORLD. FREE for members- $20 registration fee will be refunded the day of the class. This class is for those wanting to take their climbing to the next level! Lead climbing communication, lead belay technique, and lead climbing technique and safety will be covered. Please bring your own lead climbing rope to the class. If you have lead climbing experience you are welcome to take the certification test. This test can be done at anytime as long as staff is available. We will get you climbing as quickly as possible! All climbers must have a current Release of Liability Form (Waiver) to enter the climbing area at STEEPWORLD. If you are under 18 years of age, your Waiver must be signed by a parent or documented legal guardian. The Waiver can be completed online ahead of time or during your first visit to the gym.